Cablivi™ is the first therapeutic approved for the treatment of acquired thrombotic thrombocytopenic purpura (aTTP). Image courtesy of Ablynx. 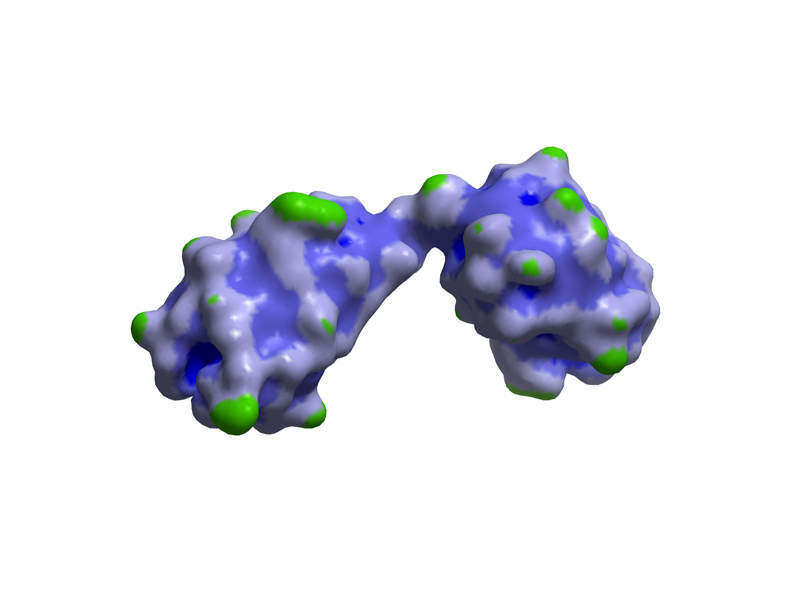 Cablivi™ (caplacizumab) is a bivalent anti-vWF nanobody. Image courtesy of Ablynx. Cablivi™ is available in 10mg powder form. Image courtesy of Ablynx. Cablivi (caplacizumab) is a bivalent anti-Von Willebrand factor (vWF) nanobody indicated for the treatment of adults with acquired thrombotic thrombocytopenic purpura (aTTP). It is one of the first therapeutics to have received approval for the treatment of aTTP. The drug was initially developed by Ablynx, a biopharmaceutical company based in Belgium. French pharmaceutical company Sanofi acquired Ablynx for approximately €3.9bn ($4.57bn) in January 2018, adding Cablivi™ to its pipeline. Cablivi™ received orphan drug designation in the US and Europe in 2009. 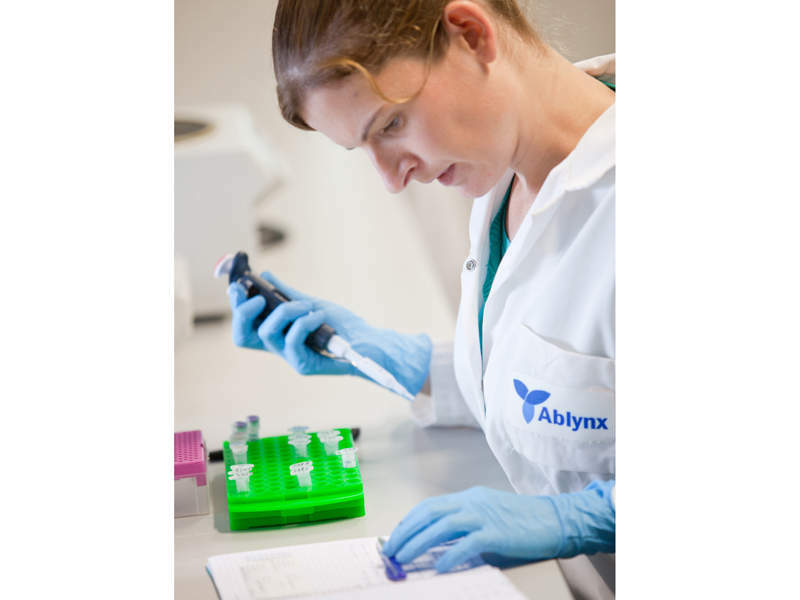 Ablynx submitted a marketing authorisation application (MAA) for the drug to the European Medicines Agency (EMA) in February 2017. The Committee for Medicinal Products for Human Use (CHMP) gave a positive opinion for granting marketing authorisation (MA) to Cablivi™ in June 2018. The European Commission (EC) granted marketing authorisation in September of the same year. Cablivi™ has also received fast track designation from the US Food and Drug Administration (FDA) for the treatment of aTTP. 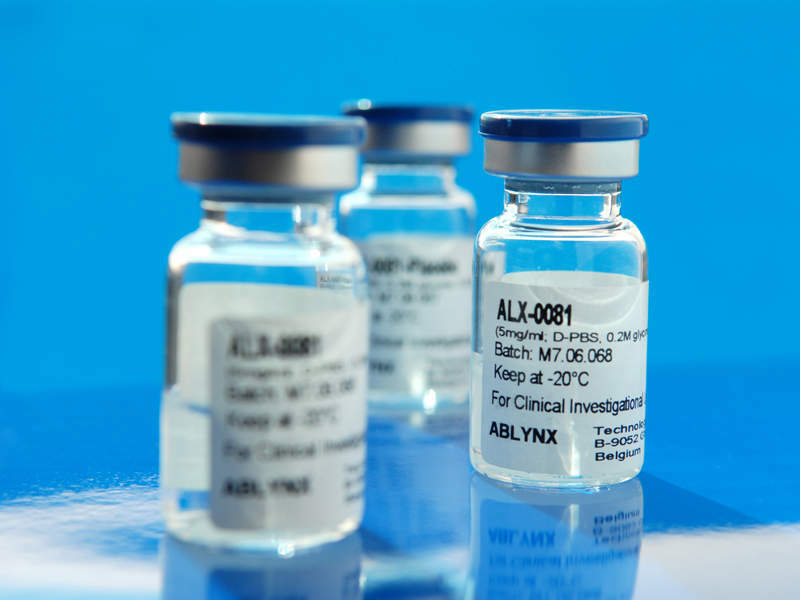 Ablynx submitted a biologics license application (BLA) for the drug to the FDA in the first half of 2018. The FDA accepted the application and gave priority review status in September 2018, with the target action date set for February 2019. Thrombotic thrombocytopenic purpura (TTP) is a rare autoimmune blood clotting disorder caused by lack of activity in the ADAMTS13 enzyme, which is a type of protein in the blood responsible for proper clotting activity. TTP is divided into inherited thrombotic thrombocytopenic purpura (iTTP) and aTTP. iTTP is passed genetically from parents to their children and is characterised by abnormal ADAMTS13 gene, which causes inadequate ADAMTS13 enzyme production in the body. aTTP is caused by certain antibodies hindering the ADAMTS13 enzyme activity in the body. As a result, ultra-large Von Willebrand factor (ULvWF) molecules remain uncleaved due to the impaired ADAMTS13 enzyme. vWF plays a crucial role in the platelet adhesion stage of blood clotting. The uncleaved ULvWF binds to blood platelets causing blood clots throughout the body. The condition is life-threatening and leads to low platelet count, lack of blood supply to tissues (ischemia), and organ damage. Some of the common symptoms of the disease include purple-bruises or dots on the skin, fatigue, fever, paleness of the skin, increased heart rate, headache, coma and seizure. Around 95% of all TTP cases are aTTP. The caplacizumab contained in Cablivi™ targets the vWF protein in the blood, blocks the interaction of ULvWF with platelets and inhibits platelet adhesion. Cablivi™ is available as a 10mg powder or solvent for intravenous or subcutaneous injection. The EMA’s approval of Cablivi™ was based on the positive results of a Phase II clinical trial named TITAN and a Phase III trial called HERCULES, which were conducted on 220 adult patients with aTTP. The HERCULES clinical trial was a randomised, double-blind, placebo-controlled, multi-national study with time-to-platelet count response as the primary endpoint. A total of 145 patients were randomised to receive either Cablivi™ or placebo. Cablivi™ met the primary endpoint and demonstrated a statistically significant reduction in time-to-platelet count response. Reduction in aTTP-related death, recurrence or at least one major thromboembolic event was observed in approximately 74% patients in the Cablivi™ arm, while a reduction in aTTP recurrence was demonstrated in 67% patients during the clinical trial. TITAN was a single-blind, randomised, placebo-controlled trial that enrolled 75 adult patients who were randomised to receive either Cablivi™ or placebo. The patients receiving Cablivi™ showed a significant reduction in time-to-platelet count response when compared with placebo.